NYC, 02/16/2019, 1:00PM. Explore and Interpret (via Art) the Theme or Being Transparent. Explore your creative side with these free art workshops led by teaching artists from the Association of Women Artists. Theme of the month is transparency. Echoing a NAWA (The National Association of Women Artists) Exhibition in Washington DC, the participants are invited to explore and interpret the theme or being transparent in visual, or social, or philosophical or metaphorical sense. 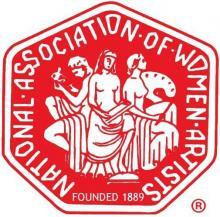 The National Association of Women Artists (NAWA), the oldest women’s fine art organization in the country, is a vibrant community of professional women artists that strives to support its members and women artists at large through exhibitions, programs and education.